Between April and June 1916, the recently ‘doubled’ AIF, now comprising a total of 5 Divisions embarked for France England and the Western Front. The 3rd Division was being raised manned and trained near the Salisbury Plain in England. Meanwhile, the 1st 2nd, 4th and 5th Divisions were in the process of rotating through the trench lines near the town of Fleurbaix in the Armentieres sector, in northern France. Known as “The Nursery” this relatively quiet sector was used to introduce new troops to the ways of trench warfare. Atypically, the defences there consisted of raised breastworks, rather than trenches, because the high water table meant excavations quickly filled with water. By late June, all but the 5th Division had begun the move south to the Somme. Across from the Australian positions and behind German lines, they could see the remains of the Church steeple in the village of Fromelles. Casualties had been mounting steadily since April. Although nominally a ‘quiet’ sector, intermittent shelling and night time raids by both sides had taken their toll. Meanwhile back in Australia, the Knight family of Westbourne Park in Adelaide’s south had already received devastating news. In just three weeks they had lost two of their three sons. Little did they realise that despite being in different Battalions in different Divisions, their two sons had died within a couple of hundred metres of one another, three weeks apart. One can barely imagine the impact on the Knight family, of those two telegrams so close together. Much worse was to come. 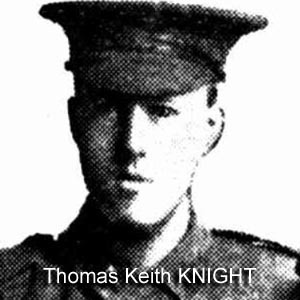 In an adjacent suburb of Adelaide, another family, Alice and Joseph Choat of Clarence Park, were about to be the recipients of devastating news of their three sons who had enlisted, been assigned consecutive service numbers then embarked and served together in A Company of the 32nd Battalion (the same unit as Alfred Knight). 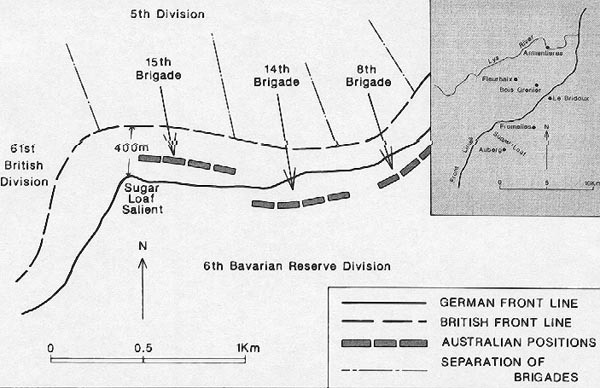 As part of the 5th Division, they were fated to become part of the worst day of Australia's short military history. 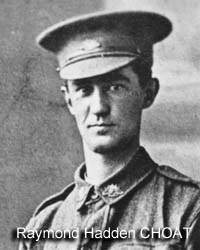 The 32nd Battalion was to be part of the calamitous attack over the evening of 19/20 July 1916, in a battle known these days as Fromelles. The Choats received three telegrams, listing their sons Archie, Ray, and Wesley as Killed / Missing / Missing. Soon afterwards, Ray's status was altered to "Killed in Action". 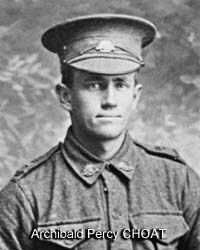 Wesley's fate was unconfirmed but once the casualty lists reached Australia there must have been scant hope for his safe return. Finally, late in 1916 word came through that Wesley had in fact survived, but had been taken prisoner and by that time was languishing in a PoW camp in Germany. In one of the most remarkable stories of WW1, Wesley subsequently escaped - twice. 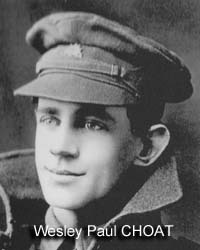 The first time he made a break for freedom he was re-captured, but in a second attempt he became one of the few that 'got away' reaching England in early 1918. 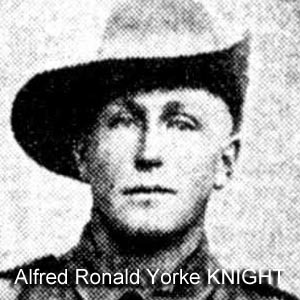 On the basis of the testimony of his comrades, he was awarded a Military Medal, discharged and repatriated to Australia. Thus the Choat family was to gain some consolation for the loss of two of their sons. On 19th / 20th July the Virtual War Memorial daily Roll of Honour will be overwhelmed with the names of those lost at Fromelles. It will be a stark reminder of one of the blackest days in Australia's military history. Spare a thought for them all, but perhaps particularly for the Knight and Choat families whose sons and brothers had been swept away as if in an instant. Tragically, they would not be the last.